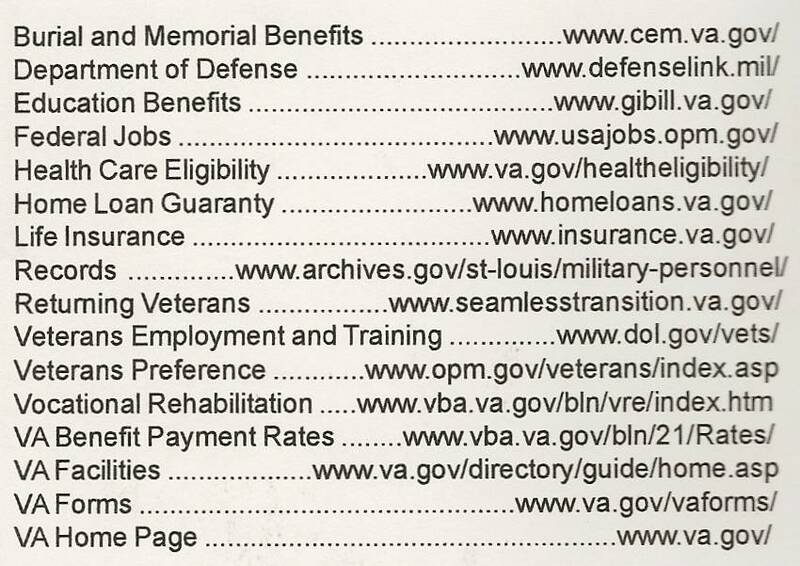 This info is gleaned from the Internet, the Federal Benefits for Veterans booklet, correspondence with ships mates and DB, the widow of a Whitehurst veteran who died of Lung Cancer. The VA letter states: (1) Claims for exposure to Agent Orange now must show that the veteran served in the Republic of Viet Nam Era (January 9, 1962 and ending on May 7, 1975). 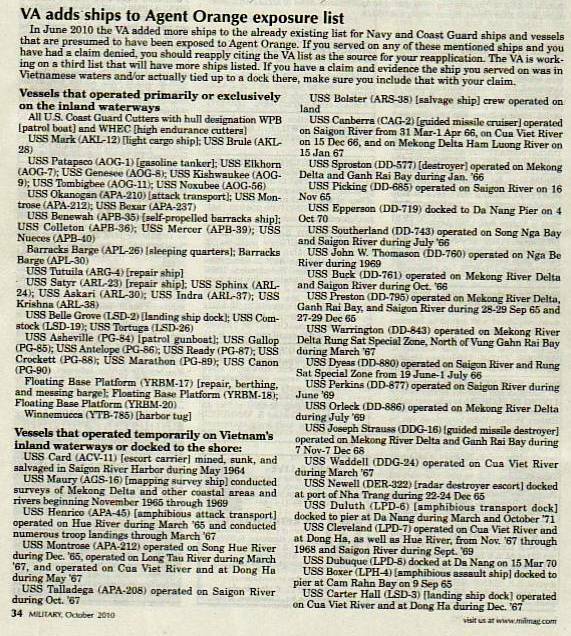 Service in the Republic of Viet Nam includes service in the waters off shore and service in other locations if the conditions of service involved duty or visitation in the Republic of Viet Nam, or (2) the veteran's service other than in Viet Nam exposed the veteran to herbicides. The letter also states that is the veteran was station aboard a ship, The veteran must have disembarked in Viet Nam. I [heard from] from the VA, May 22, when I received a letter stating they had made a decision on my claim for DIC. Service connection for Jim's death was granted. They saw that his death certificate showed that he died of non-small cell lung cancer. They stated in their letter, and I quote, "Service connection for the cause of the veteran's death is granted since evidence shows that it was related to military service". . . and, "The veteran's lung cancer is a condition which the VA associates with Agent Orange exposure." I accomplished my goal of getting Jim's name on the Agent Orange List. I think of all the men on the Whitehurst who served on that tour of duty with Jim and wonder how they are doing now. Maybe my experience can help someone else. Page to be completed when National Archives send the logs for March & April of 1962. 28 September 2010 Received the following photo from Tim Lake GMC USN Ret.